Royal Orchid Hotels reported its quarterly numbers on February 04, 2019. The standalone revenue for the quarter came in at Rs30.55cr, up 7.6% yoy. This is on account of likely stable revenue per available room and new management contracts. However, the EBITDA remained flat at Rs6.84cr in Q3FY19. The EBITDA margin contracted by ~178bps to 22.4% in Q3FY19. The adjusted net profit after tax for Q3FY19 came in at Rs4.49cr as against Rs4.22cr in Q3FY18. The marginal increase in net profit is on account of rise in rental and power expenses higher than the top-line growth coupled with increase in effective tax rate. The rental and power expenses have increased by 13.2% and 26.7% yoy to Rs3.47cr and Rs2.89cr respectively during the quarter. The effective tax rate of the company for the quarter stood at 23% yoy vs. 26% in Q3FY18. The finance cost declined by 13.6% yoy to ~Rs1.11cr in Q3FY19. 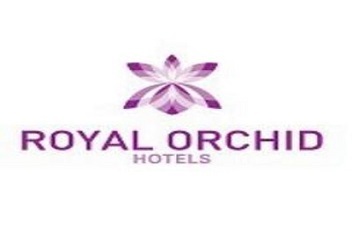 The stock of Royal Orchid Hotels is trading at a price of Rs110.9, down 0.27% or Rs0.30, on BSE at 2pm.